Russian President Vladimir Putin at the meeting with Kazakhstan’s President Nursultan Nazarbayev. The intra-Syrian talks in Syria have paved the way for the Geneva talks by setting up a mechanism for monitoring the ceasefire, Russian President Vladimir Putin said at a meeting with Kazakhstan’s President Nursultan Nazarbayev. "These talks (on Syria in Astana) reached unprecedented results," Putin said. "A mechanism for monitoring the Syrian ceasefire has been established which provided an opportunity to resume the Geneva talks." 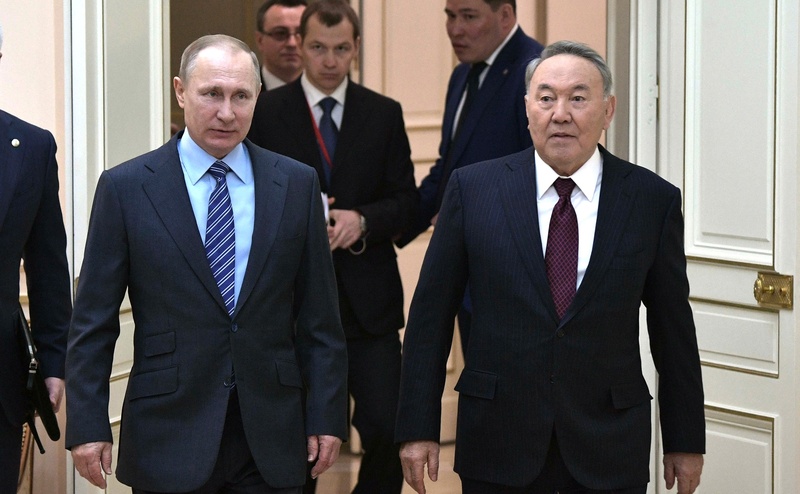 Putin thanked Nazarbayev for arranging the Astana talks. "Kazakhstan played a very positive role, not only as the talks host, but it also influenced the positive results of the Astana meeting," the Russian leader said.